Vacant and ready for an owner/user or investor to purchase this 55,000 SF office building on almost 8 acres of land. 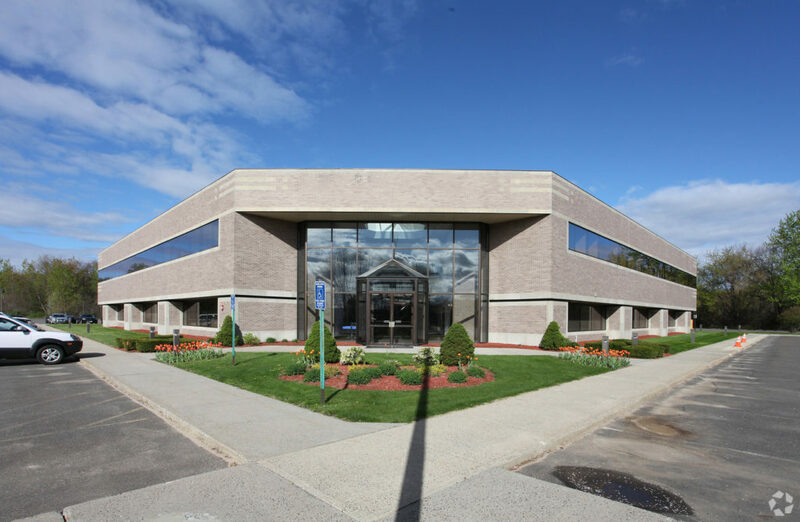 Plenty of parking and located less than 20 minutes from Hartford and only minutes away from Bradley International Airport. Possible incentives from the economic development department available. If you require a financing contingency please state the number of days. Maximum length is 30 days. Please upload your preapproval letter. Broker Coop is 2% on the net bid price and payable to CT licensed brokers. Principals may not earn commissions representing themselves. Please upload a Proof of Funds document (bank letter or statement) showing available funds for the down payment and a lender pre-approval letter if financed. Broker Coop is .50% on the net bid price and payable to MO licensed brokers. Principals may not earn commissions representing themselves.